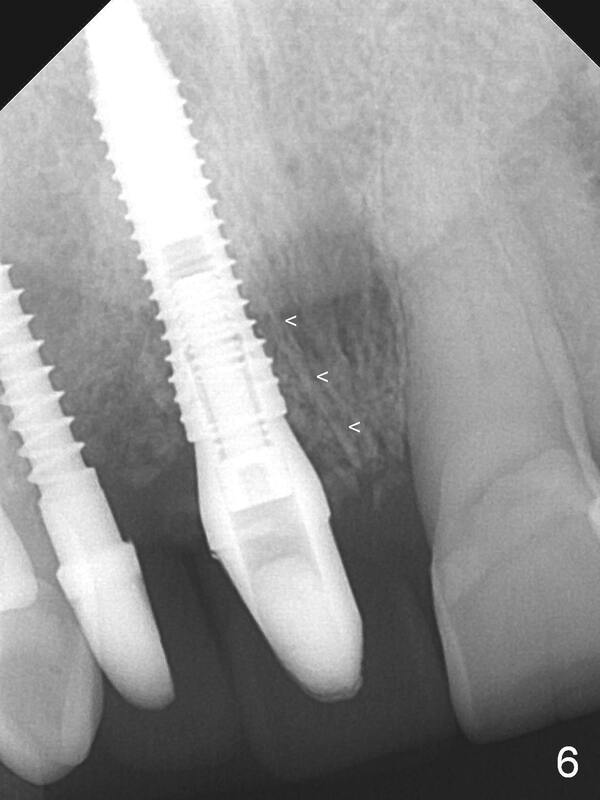 How to Handle Anterior Difficult Extraction? The 88-year-old man is afraid of pain. 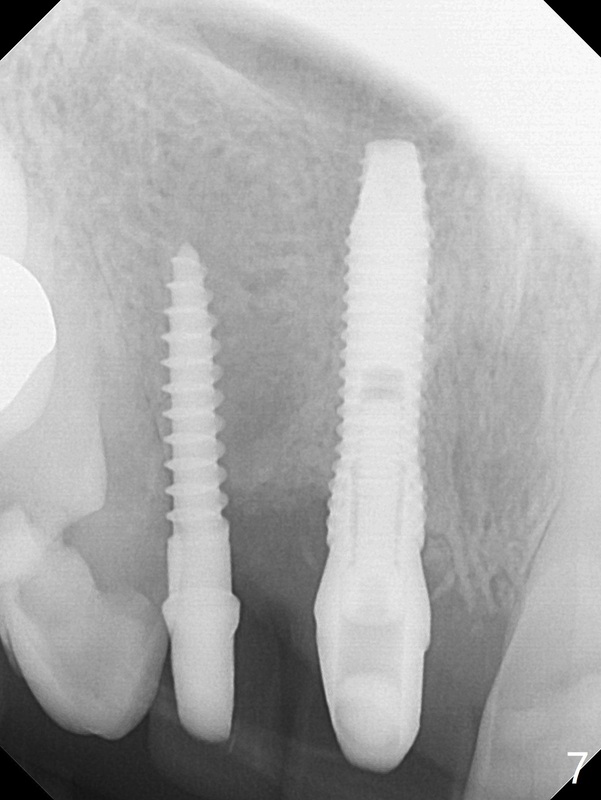 Originally he chooses #10 extraction and implant. 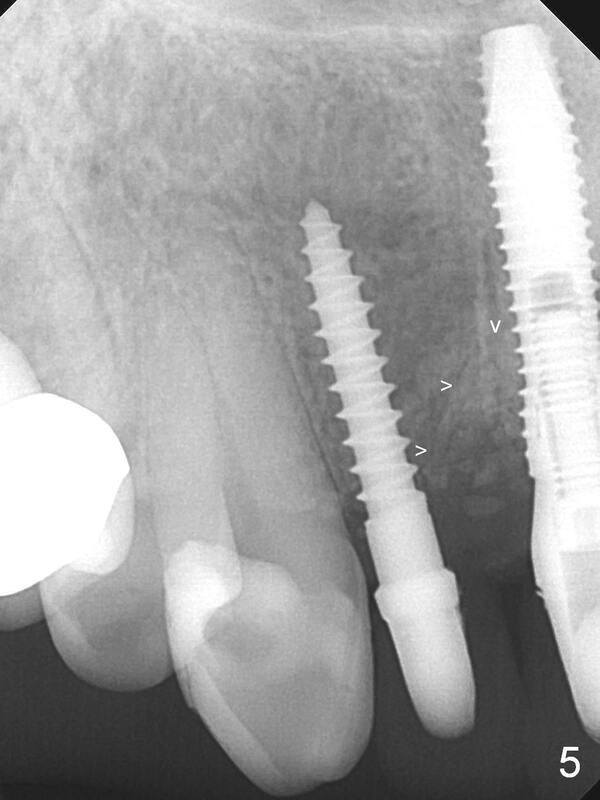 At the time of appointment of surgery, the tooth #8 has apical infection. Extraction of #8 turns out to be difficult. When the tooth is removed with flap, the buccal plate is lost (Fig.1 between **). The ridge at #7 is extremely narrow (^). It appears that the tooth #7 extraction must have been equally traumatic. 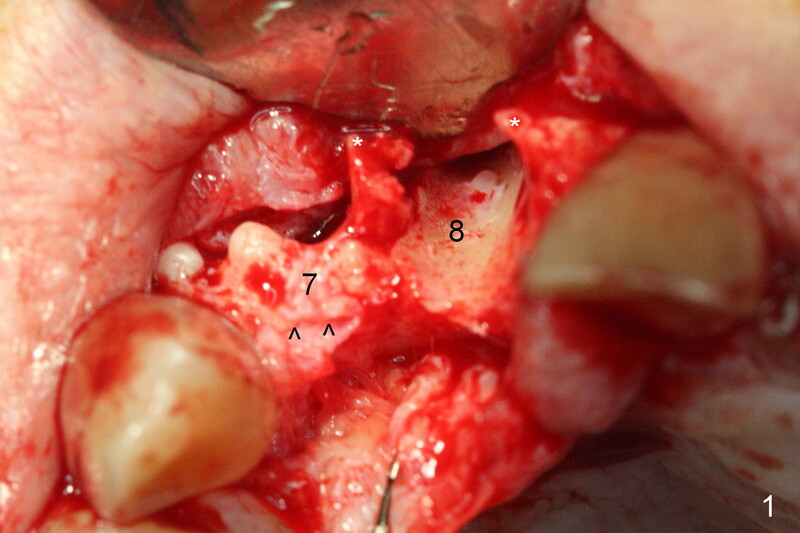 When the osteotomy is being established at #7, the buccal apical plate is almost perforated (Fig.2). 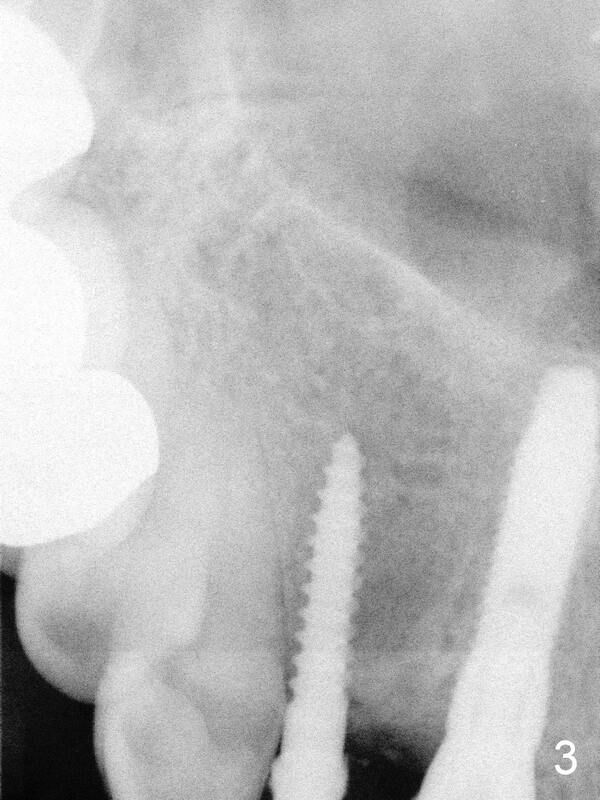 Eventually, the abutment of 2.5x12 mm 1-piece implant (Fig.3,4) is buccally displaced. 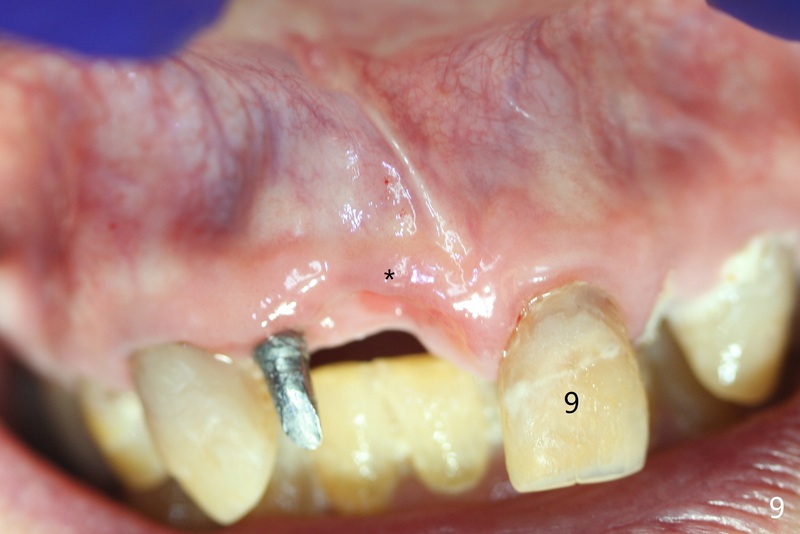 To reduce buccal thread exposure, the implant at #8 (3.8x16 mm) is placed as deep as possible; its apex is close the nasal floor (Fig.4 arrowheads). When anterior extraction is difficult (the affected tooth appears to be ankylosed to the buccal bone), raise the buccal flap and perform socket shield. The tooth #10 has indication for socket shield. 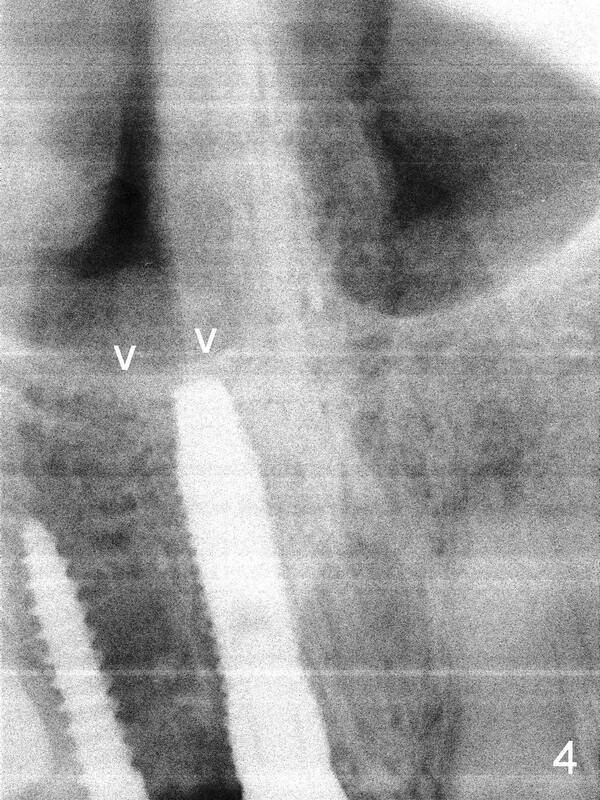 One month postop, bone graft remains in the socket of #8 (Fig.5,6 arrowheads). The patient returns for impression 10 months postop (Fig.7). 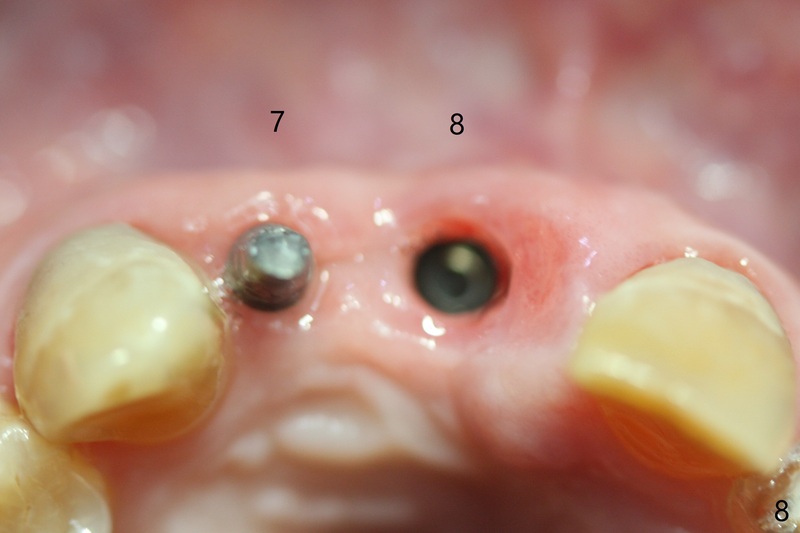 Immediately before crown delivery (nearly 12 months postop), the implants at #7 and 8 seem to have been placed buccally (Fig.8). Buccal atrophy is the most severe at the crest (Fig.9 *). 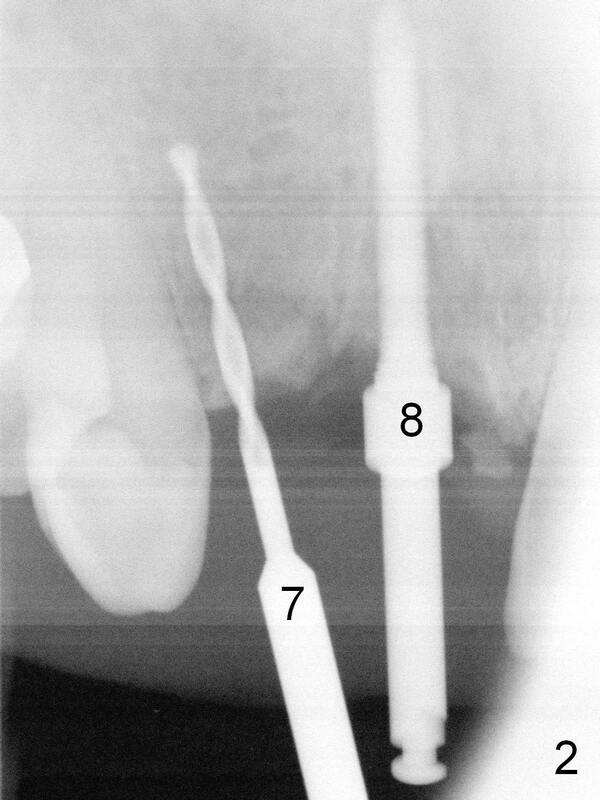 The interdental papilla is atrophic between #7 and 8 (Fig.10). 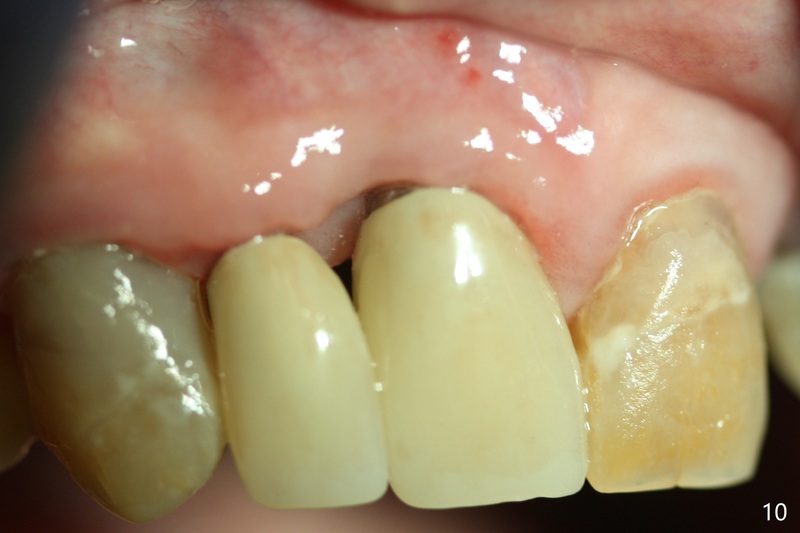 All of the defects are related to buccal defect caused by failure to perform socket shield.